When buying a Mole package from us, make sure that the address you will provide us, on the shipping page, is an Australian address and we will send you the package at no extra cost. contact us before, during or after you buy a package to get a freight quote. We will review your order and go through all emails and communications between us. Make sure you have given us your full address to get an accurate freight quote. If you haven't send us an email, we will contact you, either by phone or email. We will get back to you by email with the invoice including the shipping cost. For heavy packages, you might want to consider the ocean freight, which is about $AU 500 all around the world but can take up to 90days. If you agree with the shipping cost, we would like to recieve the payment within 3 days. If there is a problem, please contact us via email. After you buy a package from us, we would like to recieve the payment within 3 days. If there is a problem, please contact us via email. You can transfer us money from your bank to our bank. All our bank details will be on the invoice we will send you once you have placed your order. Make sure your email address is correct when placing your order. You can also pay by credit card by filling out the form included in the invoice we will send you. Please call us if you have any questions and we will help you during the process. For Money order/Bank Cheque/Personal Cheque payment, please put "NO DIG Equipment" on Title. Please note that there is a $AU 30 surcharge for international cheques. Your order will be dispatched once we receive the payment in full, including the shipping cost if you are not in Australia. Our preferred payment method is the bank transfer, the most secure and safe method. We accept credit card as well. We will send you an invoice including our bank details and a credit card form for you to fill it out and send it back to us, either scanned and email back or faxed. Our fax number will be in the invoice. Q : Who is covered under the warranty ? A : The buyer who bought the NODIGMole online and only him. If it is a company, only the company or its legal representative can contact us regarding the warranty. Q : What does the warranty cover ? A : NO DIG Mole is warranted against defects arising from faulty workmanship and/or materials for a period of 12 months to the original purchaser, with conditions. NO DIG Mole’s liability is limited to defects arising from faulty workmanship and/or materials occurring in conditions for which the product is designed and providing that the product has been used and maintained according to operating and servicing instructions. Should the item be DOA (Dead On Arrival) please contact NO DIG Equipment within 3 days of delivery. Q : What is NOT covered ? A : This warranty is void if any modifications are performed on the product without prior consent from NO DIG Equipment. Q : What protection do I receive from the warranty ? A : NO DIG Equipment’s responsibility in the case of warranty is that the product will be repaired at the authorized dealer’s main office. Transport costs will be at the purchaser’s expense. NO DIG Equipment will, where possible, repair the item or (at NO DIG Equipment’s discretion) replace it. If not possible a refund may be offered. Q : How do I request warranty replacement ? Please contact NO DIG Equipment should problems arise and we will assist with the warranty process. No returns should be initiated without contacting NO DIG Equipment first by phone or email for instructions. NO DIG Equipment reserves the right to inspect the defective parts prior to warranty. The entire scope of NO DIG Equipment’s obligations and liabilities after the commissioning of the equipment and regarding the same is set forth in this warranty. NO DIG Equipment shall in no case be subject to any other liabilities with respect to products manufactured by NO DIG Equipment, or any acts or omissions relating to. Under no circumstances shall NO DIG Equipment be liable for any special, indirect, incidental or consequential damages, expenses, losses or delays, howsoever caused. 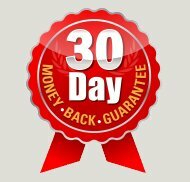 We give you a 30 Day Money Back Guarantee with every package purchased online at www.nodig.net.au. If you are not completely satisfy with the package you have ordered, please contact us within 7 days after your purchase to claim a full refund. The package should be returned in its original packaging and the items purchased should not be used. 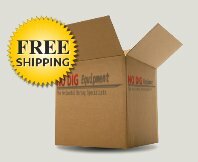 NO DIG Equipment reserve the right to inspect all items in the package supplied prior to issue a refund. Transport costs will be at the purchaser’s expense. This website is owned and operated by No Dig Equipment. Throughout the site, the terms "we", "us" and "our" refer to No Dig Equipment. 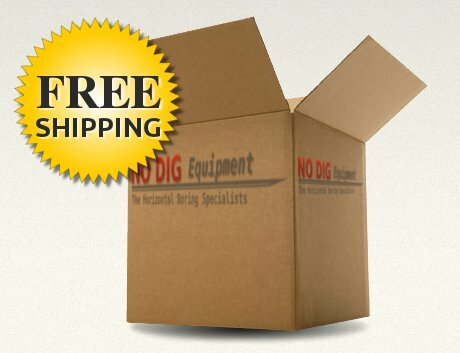 No Dig Equipment offers this website, including all information, tools and services available from this site to you, the user, conditioned upon your acceptance of all terms, conditions, policies and notices stated here. By visiting our site and/ or purchasing something from us, you engage in our "Service" and agree to be bound by the following terms and conditions ("Terms of Service", "Terms"), including those additional terms and conditions and policies referenced herein and/or available by us. These Terms of Service apply to all users of the site, including without limitation users who are browsers, users, vendors, customers, merchants, and/ or contributors of content. In order to respond to enquiries personally, we request information such as your name, and email address. We confirm that this information is accurate with an email. This ensures that people who are submitted by mistake, or without their permission can remove their details from our list. No Dig Equipment will not use or disclose any information about you without your consent. We will not send you "spam" (unsolicited advertising information). We will not send you any promotional information without first asking you whether you wish to have promotional information sent to you. If you are receiving promotional information about No Dig Equipment or other opportunities offered by us and do not wish to receive this information any longer, you may remove your name from our list by clicking on the "Unsubscribe" link at the bottom of the emails you receive. This will remove you instantly from our mailing list, and you will not receive further email correspondence from us. No Dig Equipment will endeavour to take all reasonable precautions and follow industry best practices to make sure it is not inappropriately lost, misused, accessed, disclosed, altered or destroyed.. Your information is stored on secure servers that are protected in controlled facilities. The information entered in the forms on the site are automatically encrytped to protect your personal information. In addition, our employees and the contractors who provide services related to our information systems are obliged to respect the confidentiality of any personal information held by No Dig. However, we cannot be held responsible for events arising from unauthorised access to your personal information.